Give fabulous a new name when you walk in with this stunning crossover ring on your hand. 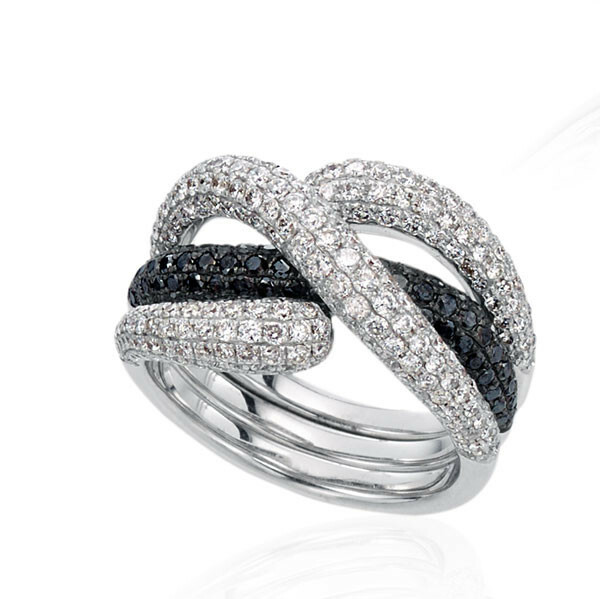 A ribbon of 18kt white gold wraps around your finger elegantly as black and white diamonds wink from its surface with grand style. Wearing this exquisite diamond ring, that new name of fabulous is you!